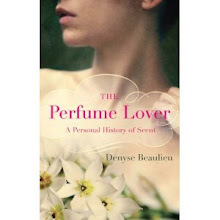 I’ve often regretted I didn’t even know perfumer was a thing, much less that there was such a thing as a perfumery school, when I was a teenager in Montreal. Today, I’m thrilled to announce that though I never studied at ISIPCA, I’m going to teach there: the Versailles School of Perfumery has asked me to give two courses in their “French Touch” Summer School, a 10-day program entirely dedicated to perfumery “à la française”, from 27 June to 8 July. The course is open to all (who can afford it). 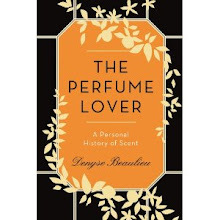 I will be teaching perfume history – a mad dash through 4000 years of perfumery in a single morning, focusing on 10 scents that changed the world (though I’ve cheated by adding another two). After participants have spent a few days being initiated to raw materials and learning the basics of fragrance formulation, I’ll be swooping in again for a day and a half of olfactory evaluation exercises. Now the more academic approach here would be to run through fragrance families. But the aim of those 10.5 hours being to make sense of what’s come before, I’ve put together a program of exercises, games and discussions that’s much less academic and, hopefully, more fun and challenging. The focus will be on the questions that the online perfume community has been discussing for a decade: How do you make sense of a scent? What makes a good perfume? I’m informed there are still a few places available. Should you be so inclined, I’d love to see you there! You’ll find the details by clicking on this link. A friend of mine is going to ISIPCA's summer school. I am SO JEALOUS! And, of course, it's the year I hope to move... so money will be short. At one point (perhaps after the course) will you share the "10 scents that changed the world"? Wow, tell him or her to mention the connection! As for the 10 scents, they couldn't be more of a list of classics -- it's just a half-day course. It's the approach that might be a little less "classic". And the evaluation course is downright off the beaten track! Her name is Nadia. Of course, she has read your book. What a great opportunity for her. It's annual, though this might be the first year it's offered in English. Looking forward to meeting Nadia! Je crois qu'on parle de moi ici ;-) Il y aura effectivement une montréalaise à l'ISIPCA cet été. Je suis inscrite au programme francophone. Enseignerez-vous aussi au groupe francophone? Bonjour Nadia. Eh non, uniquement côté anglophone, mais pour l'histoire du parfum vous aurez une de mes amies, la merveilleuse Delphine de Swardt. Très jolie plume, et très jolie femme. Merci Denyse pour l'information. J'ai vraiment hâte d'y être. Espérons que j'aurai tout de même l'occasion de vous croiser. J'avais déjà une question pour vous sur les parfums à odeur médicinale. Je la garde en tête, on ne sait jamais. That's really cool. When I got interested in perfumery there was no ISIPCA. Hell, there wasn't even the Internet. It was way, way off limit for a person without contacts and a degree in organic chemistry. Nowadays I'm just happy to keep on dabbling. Yes, it's incredible how things have changed over the past few years, in no small way thanks to blogs -- but as you say, the interest pre-dates the internet, there were just far fewer ways to embrace and express it!